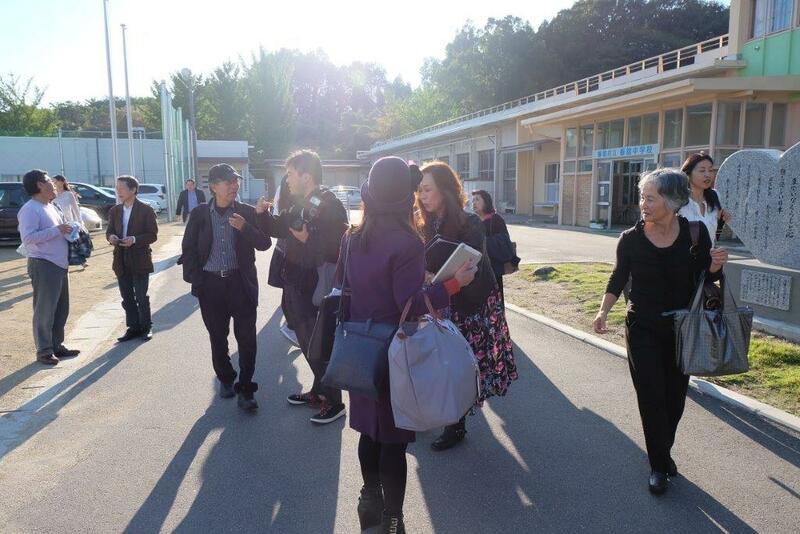 Thank you for your hearty hospitality ! 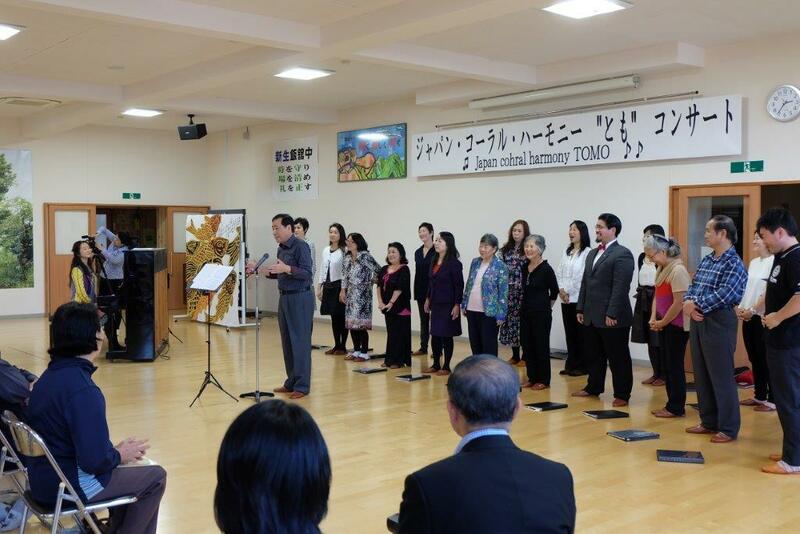 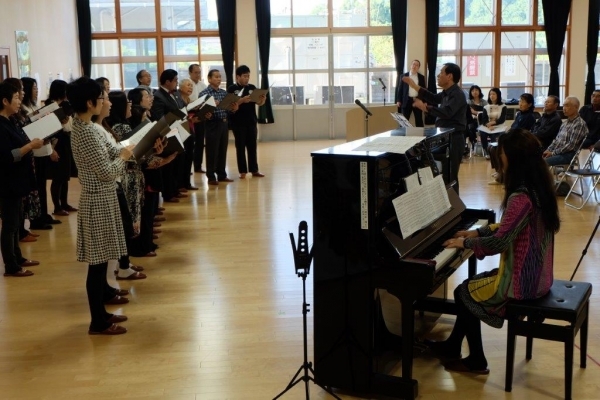 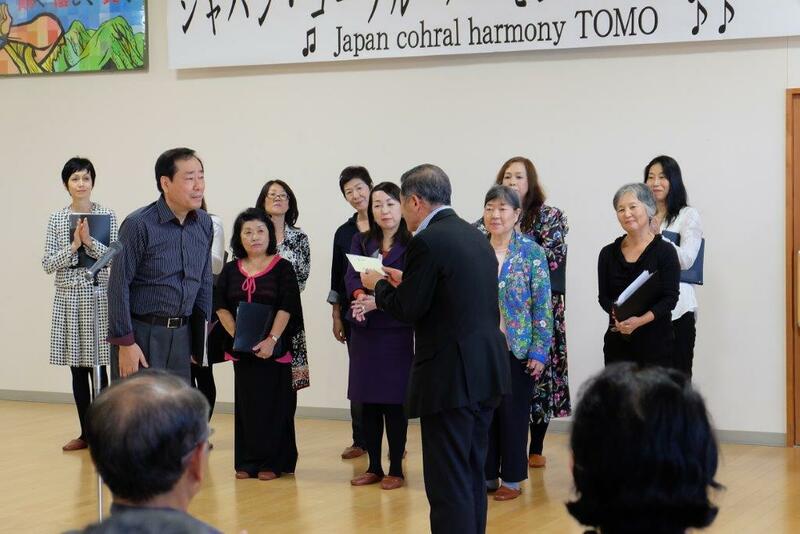 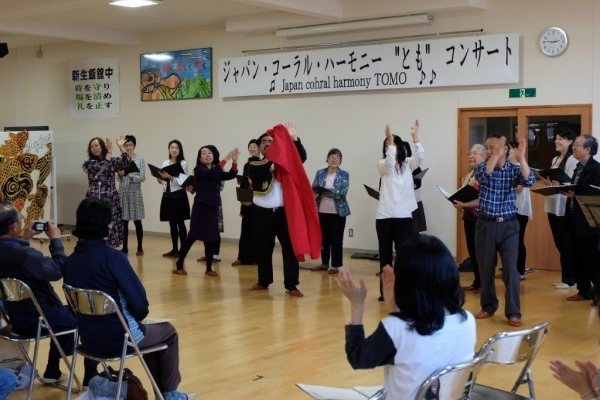 Japan Choral Harony "TOMO" finally visited Iitate Village in Fukushima on Oct. 11. 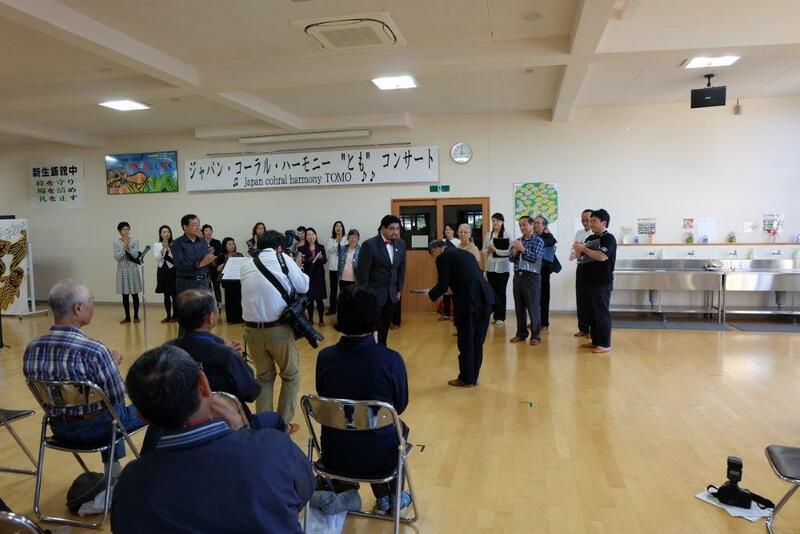 We are all grateful to the people of Iitate Village to warmly welcome us despite the short notice. 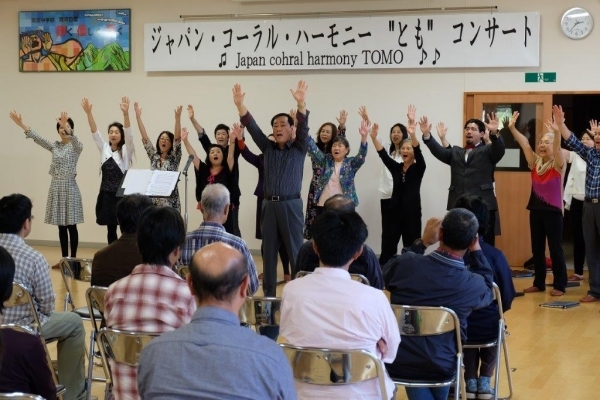 All people of the village have been evaculated from their hometown due to high level of radiation since the Fukushima Nuclear Plant disaster and scattered to many areas in Fukushima Prefecture (some are living even living outside of the prefecture). 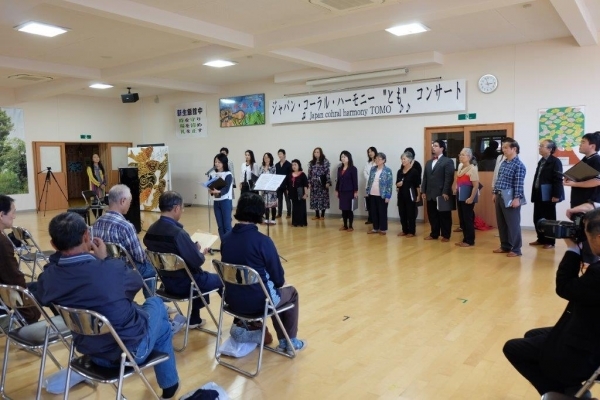 TOMO visited Iitate Middle School in Iino-cho, which was temporarily built for the students by renovating an pre-exsisted old building after the disaster. 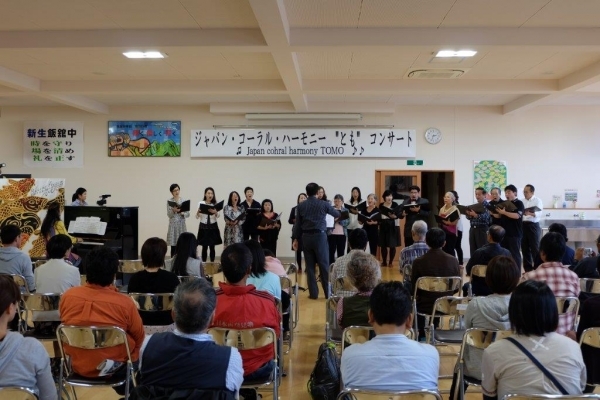 The donation in the amount of 100,000 Yen collected during the 7th Circle Wind Concert in NY on Sep. 11 has been delivered to Mayor Kanno during the mini-concert, and an album specially made this time that includes about 20 haikus read by several students of PS4 Duke Ellington Elementary School was also delivered to the mayor by Yoshi Nagayama, the tour leader of TOMO. Thank you again, and we will continue to support the village whatever we can from now on. ≪Donation Delivered to Ishinomaki Terakoya!